Not all American stocks trade on the major exchanges. In fact, many investors often forget the stocks that trade on the Over the Counter Bulletin Board (OTCBB). Some refer to these OTC stocks to buy as equities that trade on the “pink sheets,” named for the color of the paper on which they were printed before electronic trading became more widespread. Instead of using exchanges, such trades occur over computer networks. Stocks end up on the pink sheets either because they either don’t meet or have not attempted to meet the listing requirements of the New York Stock Exchange or the Nasdaq. Often OTC stocks have become penny stocks involuntarily. They often fail to meet listing requirements due to financial strains. However, one should not assume all OTC stocks trade as penny stocks near bankruptcy. In fact, some OTC stocks have become some of the largest and most successful companies in the world. This sometimes occurs with foreign companies that trade on the major exchanges in their home countries. Despite their prestige at home, these companies may turn to OTC markets to test the U.S. market. If their stock becomes one of the OTC stocks to buy, they will subsequently switch to the NYSE or Nasdaq at a later time. Others may not want to meet the financial disclosure standards required by the exchanges. 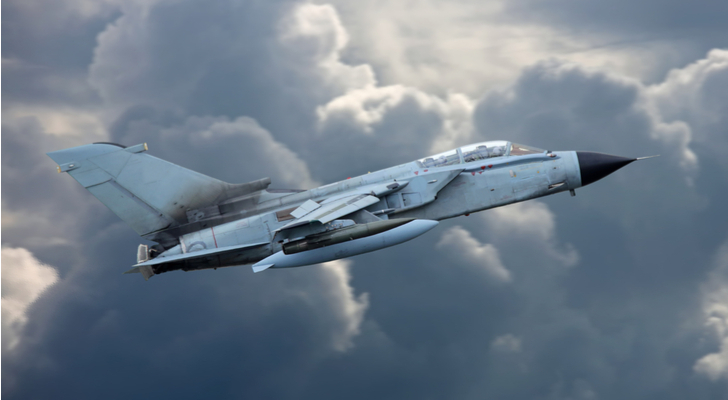 BAE (OTCMKTS:BAESY) operates in the defense, security and aerospace industries. Based in Farnborough, England, BAE has grown into the U.K.’s largest defense contractor. Despite its presence in its home country, 75% of its revenue comes from outside of the U.K.
Revenue and earnings have seen slower growth over the last few years. However, the Trump Administration’s attitude toward European defense may force these governments to shoulder more of the defense burden. Furthermore, threats from the Middle East and fears of Russia continue to worsen. Such concerns play into the hands of defense contractors such as BAE. The stock has traded in a range since 2015. A focus on defense within Europe could send it higher. Net income also appears set to move higher. If profit predictions hold up, the forward P/E will hold at about the 15 level. This stands well below the 31.5 average P/E over the last five years. Moreover, even though the stock shows little movement, the dividend helps it become an ideal OTC stock to buy. The dividend saw an increase this year. Shareholders now earn a dividend yield at around 4.5%. Even if the stock takes longer than anticipated to move higher, BAESY stock pays investors well to wait. Still, with the current geopolitical environment, BAE investors will likely not have to wait for very long. Admittedly, Sberbank (OTCMKTS:SBRCY) might seem too risky to become one of the better OTC stocks to buy. With the focus on Russian collusion and a relationship between Trump and Putin that has become too comfortable for many, the thought of investing in Russia seems scary. However, some see opportunity amid the fear. American investors such as Jim Rogers have recently sought investment opportunities in Russia. Mr. Rogers cites a strong ruble, a market well off all-time highs and high real interest rates as the reason. SBRCY stock could position an investor for these returns. Sberbank has become the largest bank in Russia. It holds more in assets than the next six largest competitors combined. 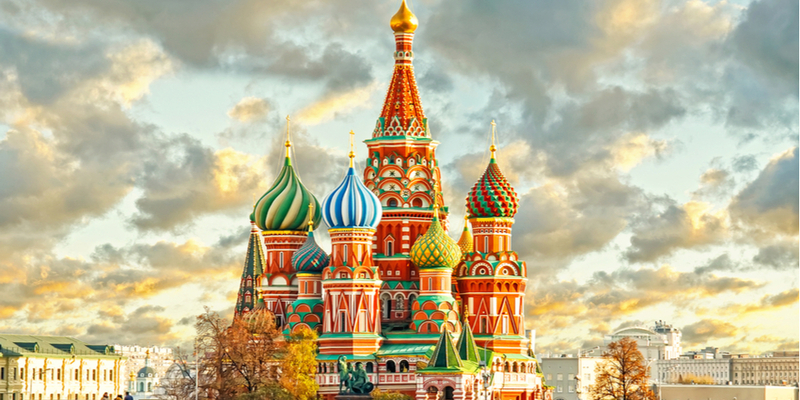 Sberbank performs retail, corporate and investment banking within Russia. It also invests heavily in Central and Eastern Europe. At a $70 billion market cap, it pales in size to U.S. banking giants such as Citigroup (NYSE:C) or Bank of America (NYSE:BAC). It also seems to struggle with gaining respect, though this could work to an investor’s advantage. SBRCY stock trades at a P/E of only five or so, well below that of BAC stock. This is despite the fact that revenues have increased by an average of 18.9%-per-year over the last five years. Moreover, dividends have seen sustained growth over the last three years. Today, SBRCY stock pays a dividend of about 4.65%. In today’s market, anything related to Russia has become clouded in controversy. However, those that can look past the drama could find a bargain in SBRCY stock. 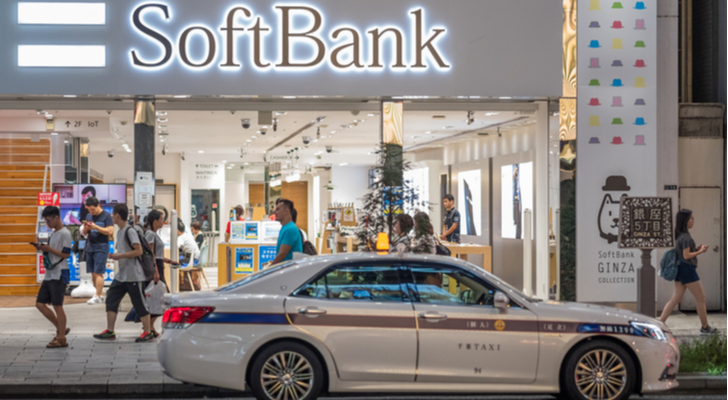 Even though it could become one of the more profitable OTC stocks to buy, Softbank (OTCMKTS:SFTBY) has not become a household name. However, this Japanese holding conglomerate has grown to a little more than a $107 billion market cap by investing in some of the better-known names in the tech industry in both the U.S. and Japan. Softbank lists Yahoo! Japan, Uber and WeWork among its investments. Still, its most famous investments are its 28% stake in Alibaba (NYSE:BABA) and its ownership of about 83% of Sprint (NYSE:S). In fact, one attempt to merge Sprint with T-Mobile (NASDAQ:TMUS) failed because it would have required Softbank to sell too many of its assets. Investors should look at SFTBY stock like a mutual fund. If the T-Mobile-Sprint merger goes through, this will give Softbank a significant stake in America’s fastest-growing telecom company as 5G begins to take off. Whenever the IPO in Uber finally happens, this should boost Softbank further. SFTBY stock also reported a 49% increase in earnings in its latest quarter. Investments in WeWork and Indian ecommerce firm Flipkart drove much of the net income increase. As a result, SFTBY stock trades less than 10% off its all-time high. With its profitable investments and its prospects for the future, SFTBY should continue to report strong results for many quarters to come. Tencent (OTCMKTS:TCEHY) has become the largest OTC stock trading today. With a $423 billion market cap, the Shenzhen and Cayman Islands-based conglomerate has grown into one of the world’s largest companies. Tencent serves the Chinese market in the internet, social networking, gaming, payment systems, ecommerce, venture capital and many other areas. The company competes with the likes of Alibaba and JD.com (NASDAQ:JD) at home. Overseas, Tencent’s influence is also felt in the U.S. as it competes with Activision (NASDAQ:ATVI) and other gaming companies for market share in the emerging esports field. This only scratches the surface of Tencent’s influence. 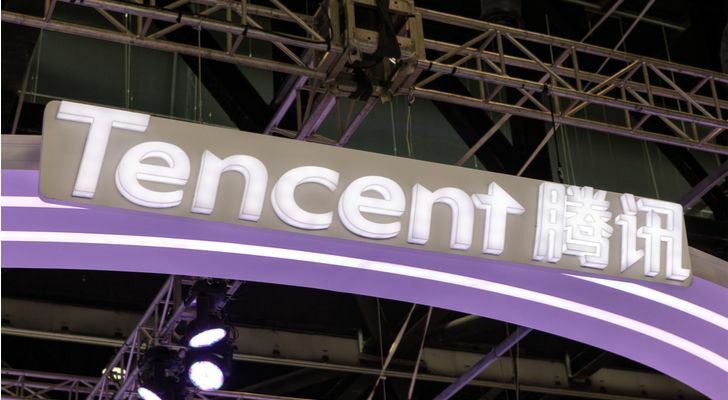 Due to its reach and growth, Tencent’s size impact has become too large to ignore. Even with the growth, the forward P/E stands at about 31. While its P/E stands well above S&P 500’s average, it has reached a tiny fraction of the P/E where Amazon (NASDAQ:AMZN) trades. To me, 20% less percentage growth to buy in at one-sixth of the P/E sounds like a worthwhile trade-off. Given the lower P/E relative to earnings growth and its position in the emerging Chinese market, TCEHY should serve as one of the best OTC stocks to buy despite its size. As of this writing, Will Healy did not hold a position in any of the aforementioned stocks. You can follow him on Twitter at @HealyWriting. 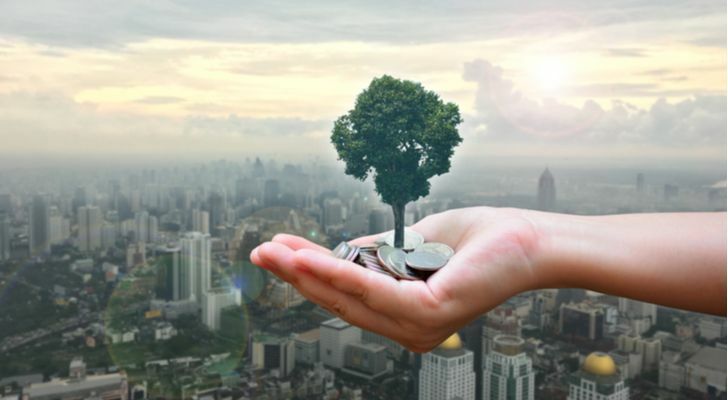 Article printed from InvestorPlace Media, https://investorplace.com/2019/03/5-of-the-best-otc-stocks-to-buy-for-future-growth/.